The University of Oregon, which as a public institution is partially funded by taxpayers, held an event recently with the stated goal of “decolonizing” the Thanksgiving holiday, a report said. The university’s “Thanks But No Thanks-giving”, which was called a “celebration” of “ongoing genocide,” was backed by some students, “but others weren’t fully on board with the message the event communicated,” Campus Reform reported on Nov. 21. 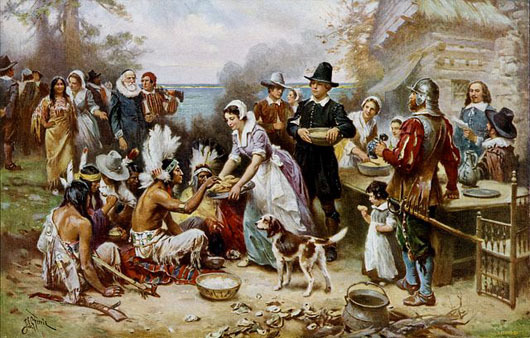 Campus Reform Oregon Campus Correspondent Josiah Tejada asked a number of students if Thanksgiving is “racist” or a “celebration” of genocide. “There’s definitely a racist history to Thanksgiving and that should probably definitely be addressed more in education,” one student said. Meanwhile, a library at a Massachusetts college referred to Thanksgiving as a “#NationalDayOfMourning”, Campus Reform reported. In the article posted on Facebook, St. Mary’s University professor Lindsey Passenger Wieck urges an approach that “decoloniz[es]” and “de-romanticize[s]” Thanksgiving.